Floral items are definitely a spring must-have but floral denim is at the top of that list. Case and point, it was hard to find these babies at a good price. Forever21 posted some and they were sold out within the hour and the only other comparable ones are J-Brand or Current Elliot ones that go for over $150! Lo-and-behold I found these at Delias, and when I saw them I snagged them fast for a reasonable $40! How else could floral jeans be styled you ask?? I can't wait to show you the other ways I plan to style them, but for now I leave you with these great examples I found on Pinterest! Wow you look absolutely Stunning doll, not just your outfit but your face as well. Love love the soft colours in this outfit. Floral trousers are so on trend, they really suit you. Don't know wether I could pull this look off though. Thanks for following and the lovely comment! 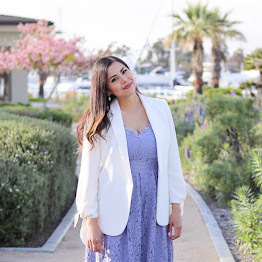 You have great style and are so beautiful! Wow I love how you styled these floral jeans! You look gorgeous! Those are really cute. I've got my eye on the Citizens of Humanity ones but they are pricey. Definitely waiting for a sale. ADORE your pants!! And your clear cuff is WOW! LOVE it!!! come by and let's follow each other ;)! este concepto de tonos pastel me encanta!!! me ha encantado tu look, muy inspirador! I love these floral pants on you Paulina! You look amazing! So nice outfit! Those jeans are so cute. Nice combination Pau! 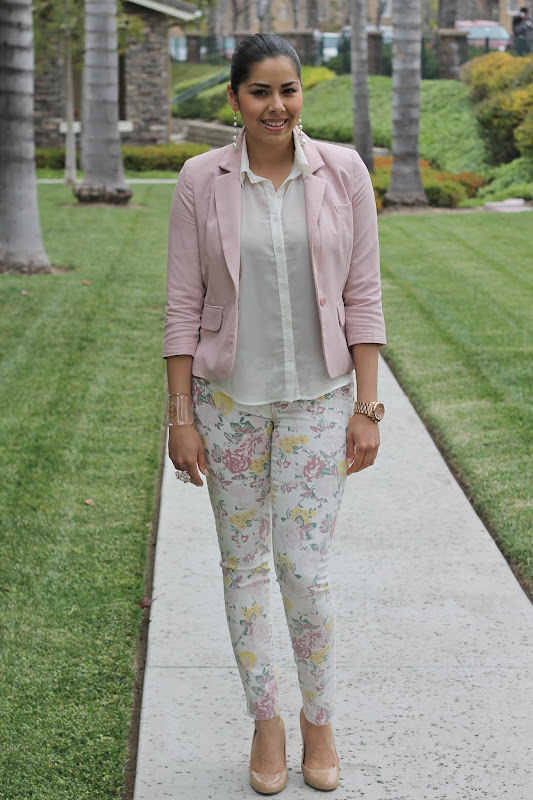 Love the pastels flowers pants! Wow! what a very inspiring blog you got darling.keep doing what you love. i'm sure you'll go further in this industry. btw,can we follow each other?i'm following you now via bloglovin and gfc.hope u can check out my blog and do the same thing if u like.